I love the idea of being able to enjoy the odd treat. But, traditional friands, muffins and cakes are laden with nasties that are simply more damaging than the small amount of pleasure one may believe they bring. However, all hope is not lost. This paleo version is definitely worth sharing. With no refined sugar or flour, these friands are different because they use macadamia meal rather than the traditional almond meal. 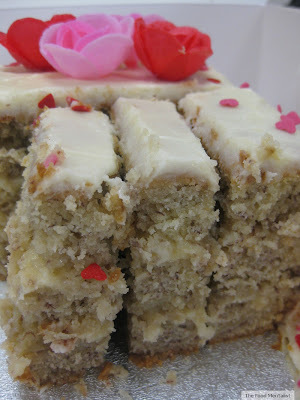 The result is that lovely buttery nutty flavour you get from macadamia nuts. Inspired by a friand recipe in Luke & Scott's Clean Living Fast Food, I made these as a test batch and they turned out so well I have made them several times since. Preheat your oven to 200'C (180 fan-forced) and line a friand pan with 8 friand paper cases. Combine honey, melted butter, macadamia meal, coconut flour, eggs, orange zest and juice in a bowl and mix well. Spoon mixture into friand cases and insert one fresh raspberry into each muffin so that it is just visible on the surface. Bake for about 25 minutes or until a skewer inserted comes out clean. Cool in the pan for 5 minutes. Serve with herbal tea or espresso if desired. I like to have one on occasion with a jasmine tea. Store in the fridge in an airtight container or freeze individual friands in aluminium foil.